Have you ever become so immersed in a book that you had to read it in one sitting? You became inexplicably attached to the characters so quickly that you had to know how their story ended? 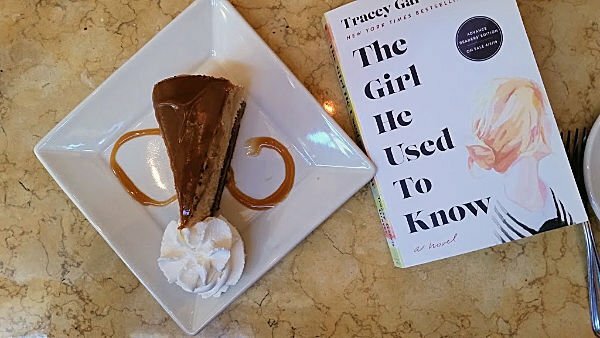 The Girl He Used To Know by Tracey Garvis Graves is one of those books. When you pick up this book, make sure you’ve got hours to spare because you won’t be able to concentrate on anything else until you reach the end. Even the cat was excited for The Girl He Used To Know! I read this book in about 4 hours. 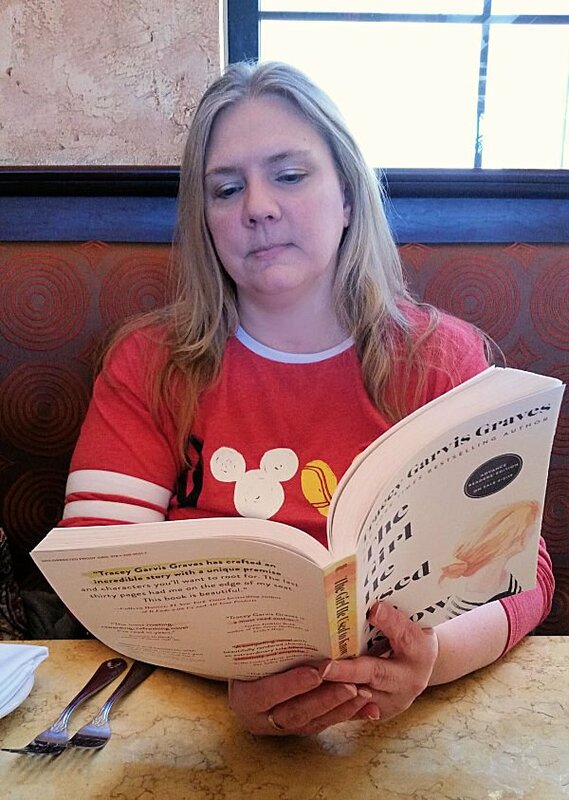 This picture is at The Cheesecake Factory just to look cute because when I was really reading it, I was in bed in my pajamas! Doesn’t that synopsis just draw you in? When I read it, I knew this was a book I had to read. I can’t resist a book about second chances. The Girl He Used To Know is a book about second chances, but it is so much more. It’s about friendship and family, love and loss; and it’s about accepting yourself and realizing that you can be loved exactly as you are. 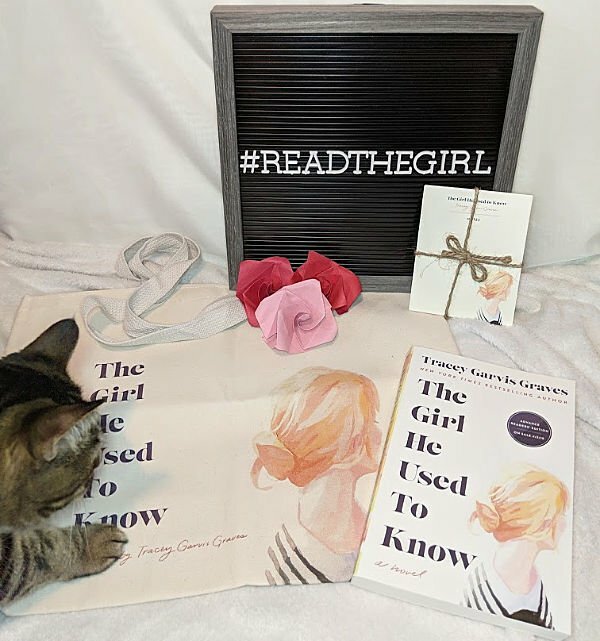 As you read The Girl He Used To Know, you slowly find out who Annika “used to be” and how certain events impacted her through the way the story is told. The author weaves this perfect story together through Jonathan and Annika’s differing points of view as well as jumping between the present and the past. 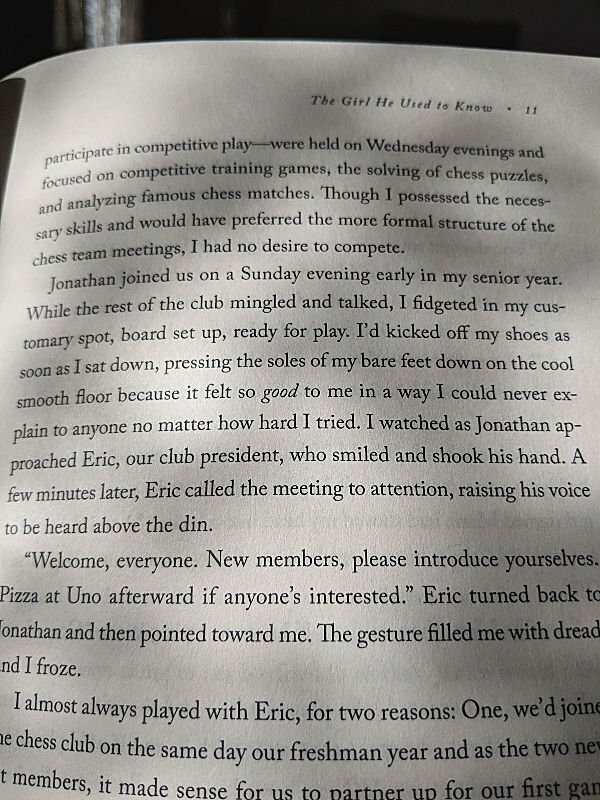 From the first few chapters, we are given hints about Annika. She has trouble reading facial expressions and non-verbal cues. As she begins reflecting on her time at college, she admits that her favorite places were the library, the wildlife clinic, and chess club. It’s during a chess club meeting that we find out more about Annika’s mannerisms that make her who she is. She loves formality but not competition. She loves how smooth the floor feels on her bare feet in the student union where chess club is held. You can probably tell that Annika is my favorite character in The Girl He Used To Know, but I really loved the people who played a part in her life. Janice is Annika’s college roommate who takes Annika under her wing. I don’t want to say too much about how and why she does this because it would be a little “spoilery.” But the friendship that develops between these two is truly beautiful and lasting. Though I can relate to Annika and her need to be alone, I can also relate to Janice. One thing that my first grade teacher wrote on my report card was that I was such a good friend to a girl who came into our class later in the year. She says I “took her under my wing.” Though I don’t remember much about first grade, I know that I stayed friends with this girl until I changed schools five years later. I took a lot of notes while I was reading The Girl He Used To Know. That way I’d remember things I wanted to say. As I look back through them, I have nothing about Jonathan. I loved him, but I’m a girl! Maybe that’s why I didn’t stop to reflect on him as much as I did Annika. The way he treats Annika throughout the book is the way, I think, we all want someone to treat us. He is so kind and patient with Annika’s quirks. She sees the world in such a different way than he does, yet he’s not frustrated with the fact that sometimes she misses the point. One of my favorite parts in The Girl He Used To Know comes after this tragedy. It is how Annika reacts to the tragedy and her mindset in the months following that lead to their breakup. It’s the turning point in the story. No. I’m not going to tell you what happens because you NEED to read this book yourself. I will tell you that when you get to the final 40ish pages, you are not going to be able to breathe. I read these pages while I was shaking. It’s probably the fastest I’ve ever read 40ish pages in my life! Trust me when I say, you’re going to feel the same. I’ll wrap this up with this quote from Annika’s mom. “You have wonderful gifts to offer people, Annika. You are honest and loyal. Not everyone will appreciate that, and there are people who will dislike you anyway. Life isn’t easy for anyone. We all have challenges. We all face adversity. It’s how we overcome it that makes us who we are.” This. We can be kind and smart and offer friendship openly, but there are going to be people who dislike us anyway. No, life isn’t easy. But the things that we go through in life and how we get through those things make us who we are. 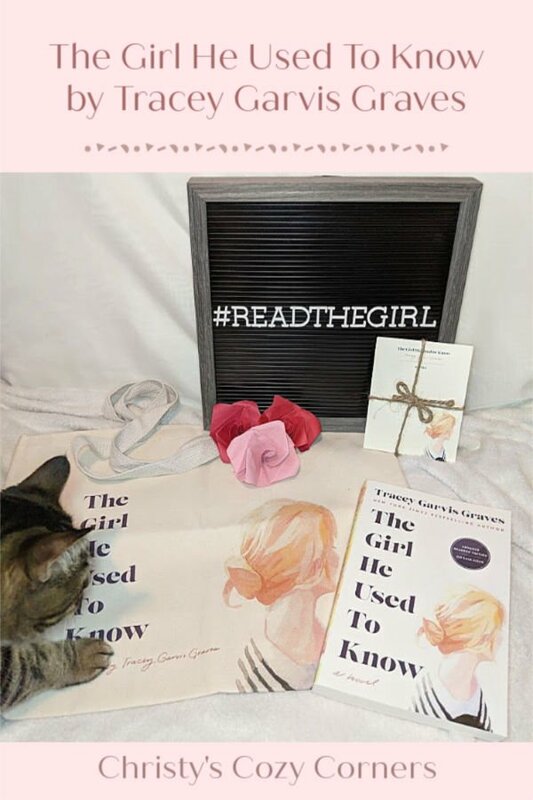 The Girl He Used To Know is a must read, and you can find all of the book’s order links on this page. And here’s my cheesecake…The Girl He Used To Know is even better than cheesecake! I have not read any of the author’s other books. This sounds like an interesting tale of a librarian and a Wall Street wunderkind, and a good read! I have not read any of the author’s other books. This book has been on my radar for a few weeks. I am excited to read it. I love the idea of lost love reunited. Second chances are always great stories, but this one sounds like there was a twist and I can’t wait to read it. I’ve not read anything by this author before. I’m intrigued by the telling of this story from different POVs. I love the different points of view. It makes it so interesting! I have not read any books by this author who I have never heard of before. This books sounds like one I’d enjoy reading. You definitely need to check it out! This author is new to me. I would love to read it! I’ve never read anything else by this author. But the characters of this book intrigue me. I understand that the main character is very quiet & shy…and that it’s a nice love story, and I’m interested to find out about the history of these two characters & their relationship. I definitely recommend reading it! I haven’t read any of the author’s other books.The synopsis is interesting. What makes me want to read the book is the rekindled romance. I have not read any of the authors books. Thank you. I haven’t read any other books by this author. I like that she enjoys being surrounded by books.